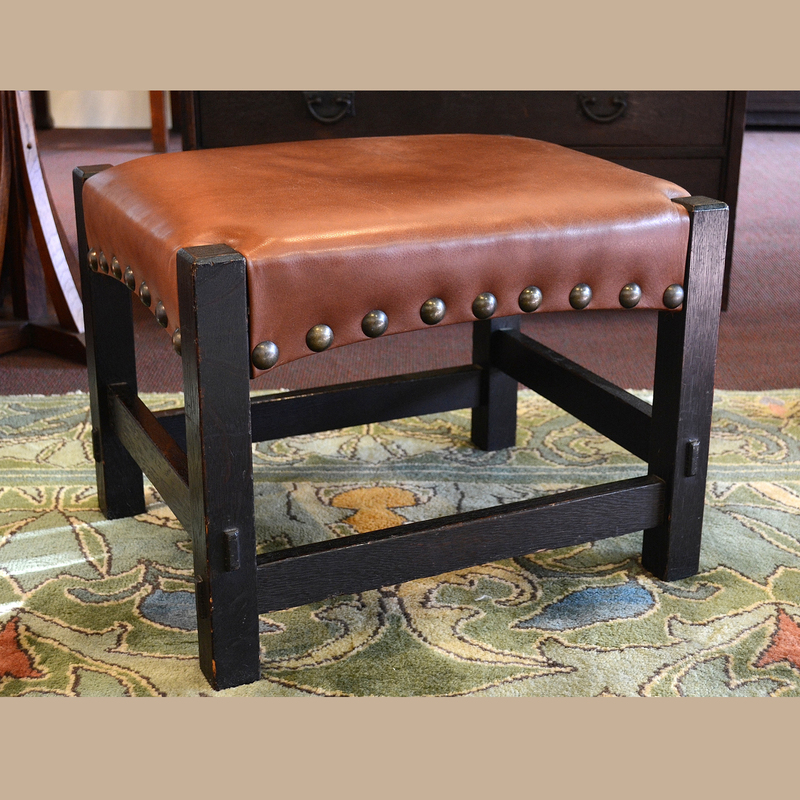 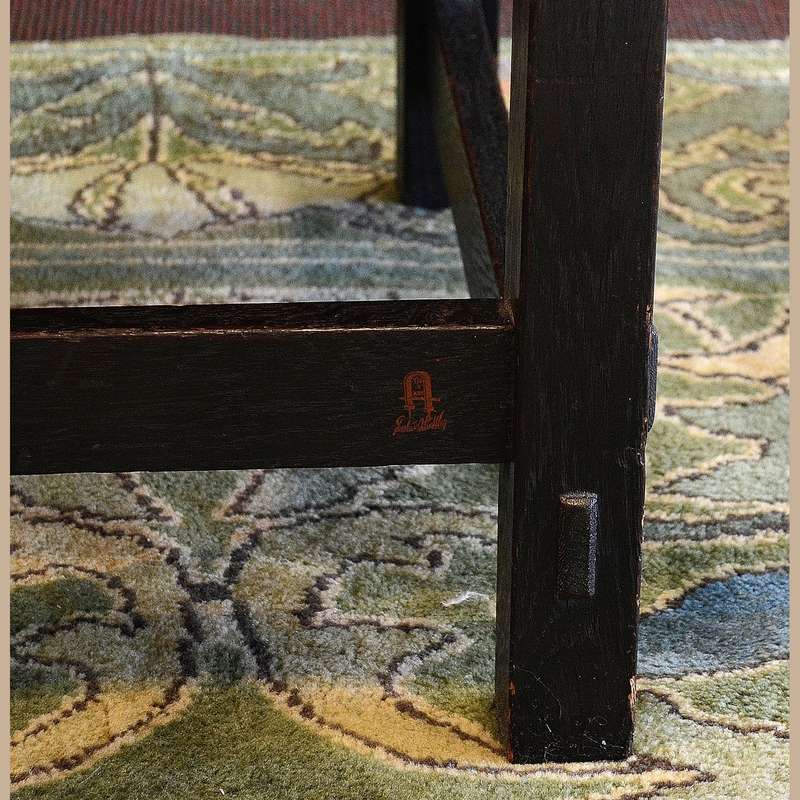 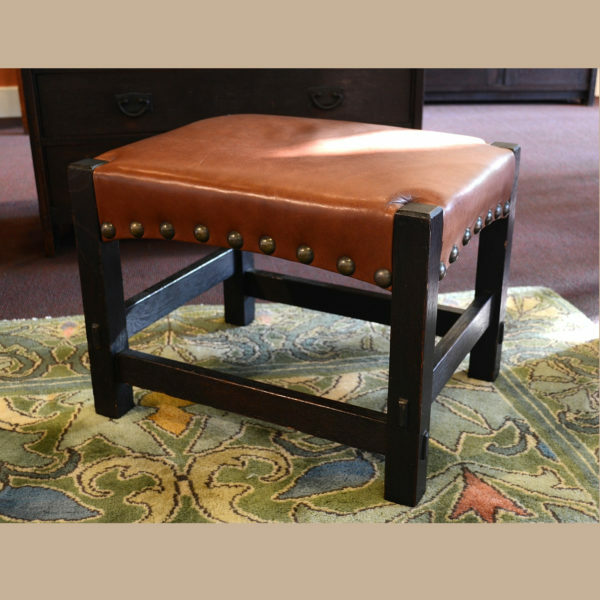 Gustav Stickley model number 301 footstool retaining it’s red decal and produced between 1904 and 1907. 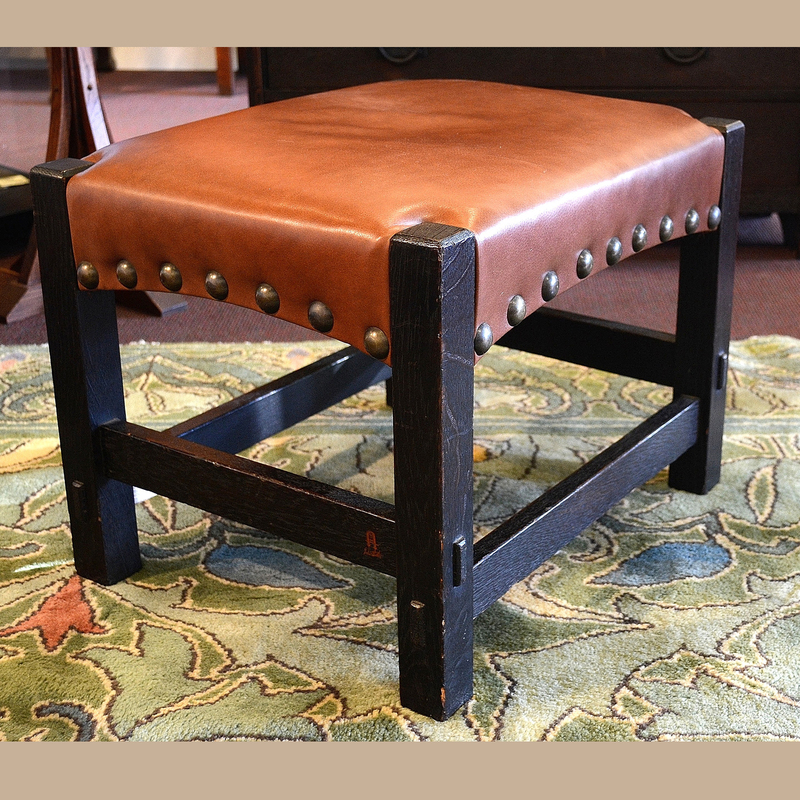 This has it’s original black finish in remarkable condition. 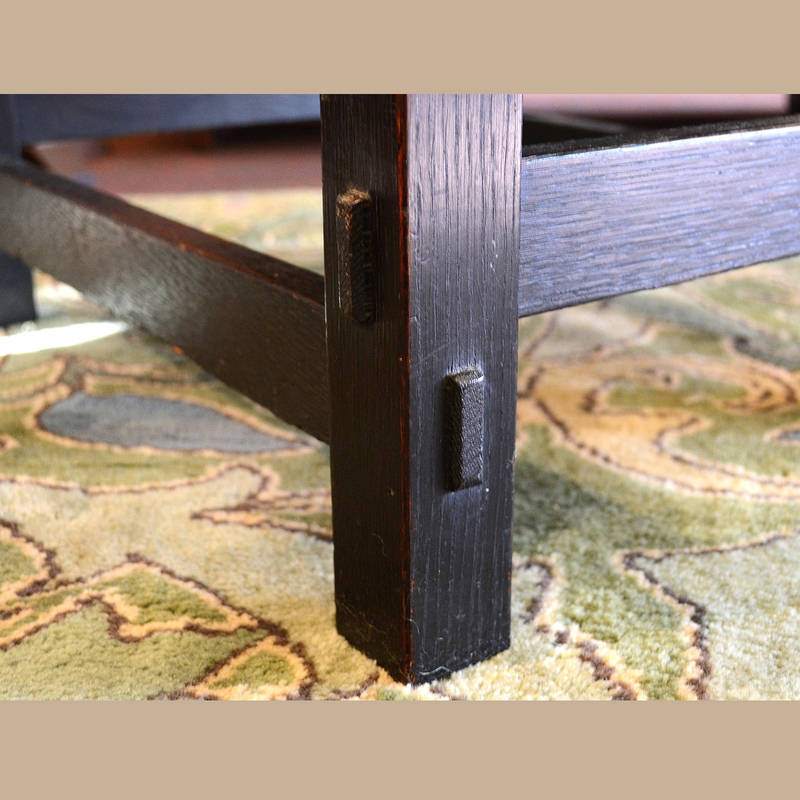 Measure 15 1/2″ tall x 20 1/2″ wide x 16 1/2″ deep.